Elvis Costello, Ian Dury and Joe Strummer have played on its stage, but last year the Ivy House in Nunhead, south-east London, was destined to be turned into flats. Now, thanks to the efforts of a group of local residents, it is on the way to being re-opened as London's first community pub, owned and run by shareholders. 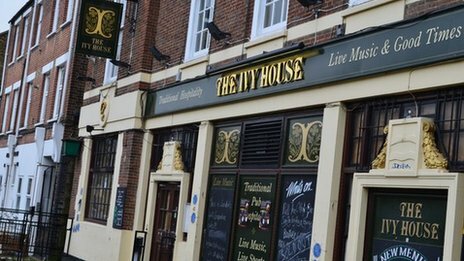 The campaign to save the Ivy House began last April after the tenant landlord was given five days' notice to quit. But a group of locals, who met in the pub while having a farewell drink, formed a plan to save their treasured boozer. They set up a formidable team including a real-estate litigation lawyer, a conservation adviser and a town planner. First, they accelerated an application to get the pub designated as a Grade II listed building. "We mobilised as many local people as we could to lobby local councillors and our MP, Harriet Harman," says Tessa Blunden, who helped spearhead the campaign. "English Heritage listed it two days later, which meant no one could come in and rip it apart." The group then used a brand new piece of legislation - the Community Right to Bid element of the Localism Act - to allow it to put together a bid for the property. "With help from the Peckham Society we applied to Southwark Council, and got the pub listed as an 'asset of community value'," says Mrs Blunden, who had her wedding party at the Ivy House. "We were the first in London, and I think the first in the UK, to use this method." However, this was only the first hurdle. Within six months, the campaign needed to raise the asking price for the freehold of the property - a challenging £810,000. Less than a month ago, after securing a loan from the Architectural Heritage Fund and a grant from the Social Investment Business Group, the group managed to buy the pub, and allowed itself a moment's celebration. Mrs Blunden said: "We sat in the dark, had a glass of champagne and toasted the Ivy's future." 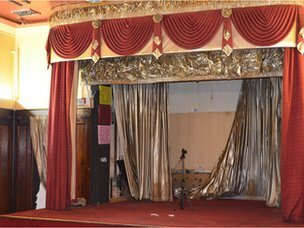 A lot of maintenance work has yet to be done, and a further £100,000 is needed to get the Ivy House's doors open again. To date, close to £20,000 has been raised by issuing shares, which have been bought mainly by locals who would like to be stakeholders in the pub. "Anyone can invest if they share our ethos and vision for the building," says Mrs Blunden, who is also organising a public meeting on 14 April to gather momentum for the project. That vision includes a performance space, music recording studio and meeting area, among other communal facilities. The group is also organising a "skills bank" to help other local organisations which may want to learn from its expertise. Campaign member Emily Dresner said: "We have heard from a number of projects around London and further afield who are interested in replicating our success." Pubs in London closed at a net rate of two per week last year, according to research by the Campaign for Real Ale (CAMRA). Community pubs minister Brandon Lewis said: "We are determined to see more communities across the country follow in the Ivy House's footsteps." Tube drivers will stage first of three 24-hour strikes over a "breakdown in industrial relations".